If you rely on your voice for your profession or hobby you’ll be well aware that it can really take a hit in the colder months. The throat is a delicate and finely balanced structure of nerves, glands, tissues and blood vessels. These tissues and organs can be damaged if they’re overworked and need looking after, especially in the drying atmosphere of cold weather. 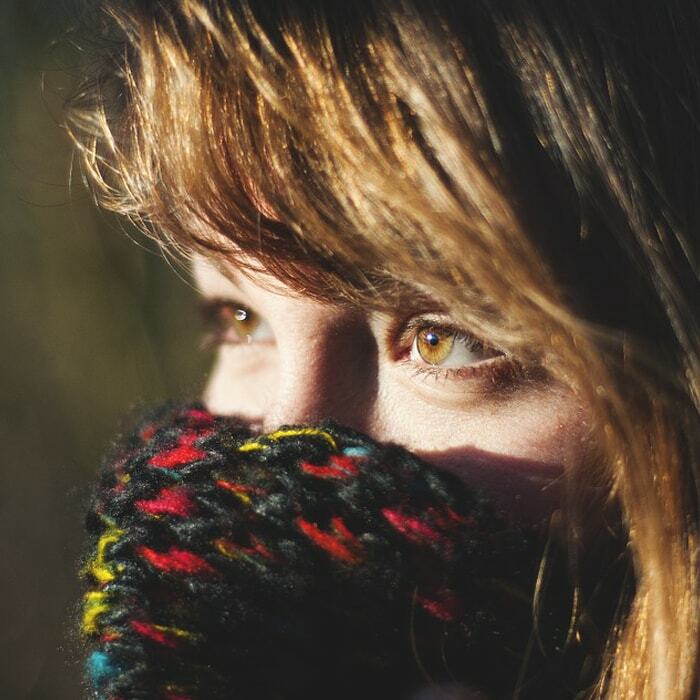 Learning to look after your voice in the cold is an essential, so join us for our top 10 tips. Whilst it’s of course necessary to be in a heated environment when it’s cold, your voice is not keen on central heating. Make sure you clean your filters and radiators to eliminate the possibility of breathing in dust. To counteract the dryness of the air you could also buy a humidifier or place a bowl of water on top of a radiator. You can steam your throat by placing your face over a bowl of hot water and covering over your head and the bowl with a towel. We know you’ve heard it all before, but sleep really is key. Studies have shown that people are more susceptible to illness when they don’t get enough sleep; your immune system releases special proteins called Cytokines whilst you sleep, which are required to fight infection and inflammation. Most experts are agreed on seven to eight hours of sleep being the best option for adults. If you pick up a virus due to lack of sleep your voice will suffer. Sleep also shortens the recovery period after an illness. Becoming dehydrated can cause issues like weakness, dizziness, headaches, nausea or dry mouth. Making sure you stay hydrated by regularly drinking water will help you avoid these problems and also keep your hair, skin and nails feeling and looking healthy. Studies have also suggested that there are a number of other benefits to good hydration such as enhanced mood levels and weight loss. You can now get bottles with timings marked on them to help you remember to drink plenty of water. You can also read our tips for the best food and drink to keep you hydrated. Around 40 – 50% of your body heat is lost through the surface of the neck or head. If you get into the habit of wearing a scarf (and hat!) you can help mitigate some of this loss, hopefully leading to a healthier throat. If you can avoid extreme temperature changes such as going out into the cold from a toasty car this will also help. You’ll find plenty of vocal warm up advice either on our website or via our youtube channel. Our Quick Daily Vocal Warm Ups article is a good place to start. Remembering to warm your voice up is especially important during the cold weather and can take a little longer than normal. If you’re going into an indoor performance or practice space from the cold give your body ten minutes to relax and acclimatise itself to the change in temperature before warming up. Nobody wants to miss the big dates on the social calendar but if you’re going out at the weekend make sure you bear your voice in mind. Alcohol – like caffeine – is very dehydrating so avoid excessive drinking. When you’ve had a few drinks it can be tempting to get a bit overly competitive at the karaoke bar, but try not to strain your voice. Shouting over music and smoking or being exposed to smoke are also causes of damage to the voice. Just as you wouldn’t sprint on a leg injury, you should not be singing if you’ve got a sore throat. Put simply, you’re feeling pain because something is wrong – if it hurts to sing your vocal health has been comprised, so rest. Working an already over worked voice risks causing long-term and perhaps permanent damage to your voice. Drink some Vocalzone tea or have some pastilles and take it easy. The air is moisturised by your nose as it passes through your nasal cavity. As discussed in point 1 about central heating, dry air is not a friend of the throat. Many cold remedies are known to dry your throat out, but if this is all you have to hand make sure you pay special attention to staying hydrated. Vocalzone throat pastilles relieve blocked noses and act as a decongestant. Find out more about using Vocalzone to combat the symptoms of a cold.